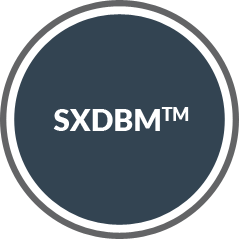 SXDBM™ is an advanced healing technology that is revolutionizing the way doctors approach bone defects. This unique human allograft tissue is derived from human bone which has undergone a specialized demineralization process that maintains the bone’s natural growth factors. When implanted into a bone void or gap, SXDBM™ bone allograft has the potential to induce the full developmental cascade of endochondral bone formation including vascularization, mineralization, and bone marrow differentiation. Derived from demineralized trabecular bone, SXDBM™ Strips and Cubes are compressible and elastic bone allografts, with the open, porous structure of cancellous bone. Strips and Cubes can be compressed to 1/3 of their original size, placed into a small area and, when released, will spring back to fill the bone gap or void without losing their original strength or shape. 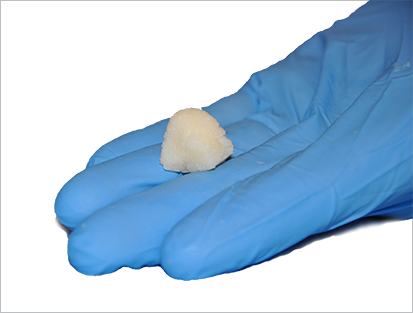 Derived from demineralized cortical bone, SXDBM™ Putty is a flowable bone allograft. I can also be formed into various shapes and sizes and packed into voids or gaps in a variety of bones. 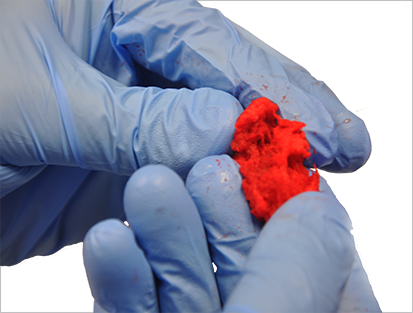 When mixed with fresh bone marrow aspirate or autograft from the patient, the allograft bone putty becomes osteogenic. SXDBM™ (demineralized bone matrix) is allograft bone that can be used to fill voids or gaps in a variety of bones, including the extremities, spine and pelvis. SXDBM™ aides in the healing process by filling defects that occurred during surgery or as a result of a traumatic injury. At the locus of the implant, SXDBM™ bone allografts have the potential to induce vascularization, mineralization, and bone marrow differentiation. After a period of time, the DBM may be resorbed and replaced by growth of new bone. SXDBM™ allograft bone should be used in bone defects that are not essential for stability of the bony structure. A unique processing technique ensures that 100% of the DBM is derived from human allograft bone tissue. This eliminates the need for extrinsic organic carriers. All DBM materials are retrieved and processed according to the FDA and AATB guidelines, are tested for viruses and terminally sterilized by validated e-beam irradiation.